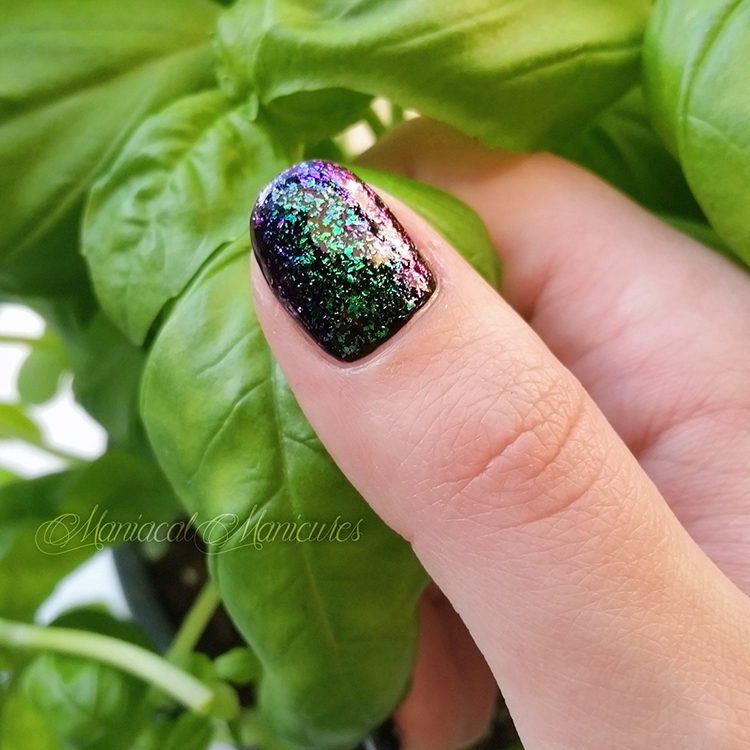 Today I have for you some swatches of ILNP "Supernova." The formula is superb as always and applies with no need for dabbing. To reach full opacity, it will likely take three to four coats, but I would suggest applying polish to a makeup sponge and dabbing it on until desired opacity is reached. The flakes lie relatively flat so only one coat of topcoat is needed. The flakes are easy to remove with polish remover, though they tend to stick to the skin. 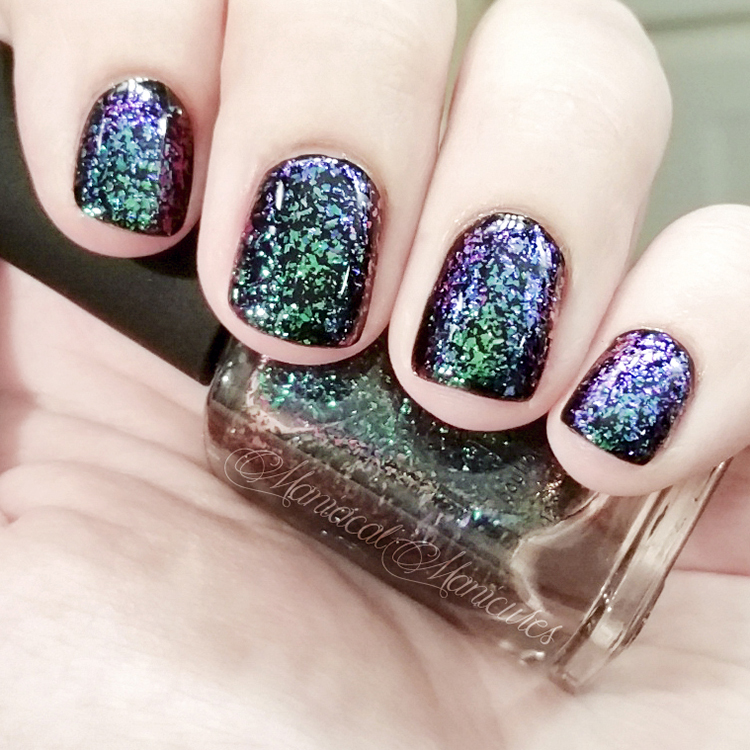 This comes off easily after a good hand wash. Because the flakes are opaque multichrome, "Supernova" can be worn over any base. I chose KBShimmer "Eclipse" as my base because I wanted to let the flakes flash like beetle wings. To get the best shine, I topped it off with SuperChic Lacquer "Marvel Liquid Topcoat." In different lighting more colors would flash, especially in ambient, indirect lighting. 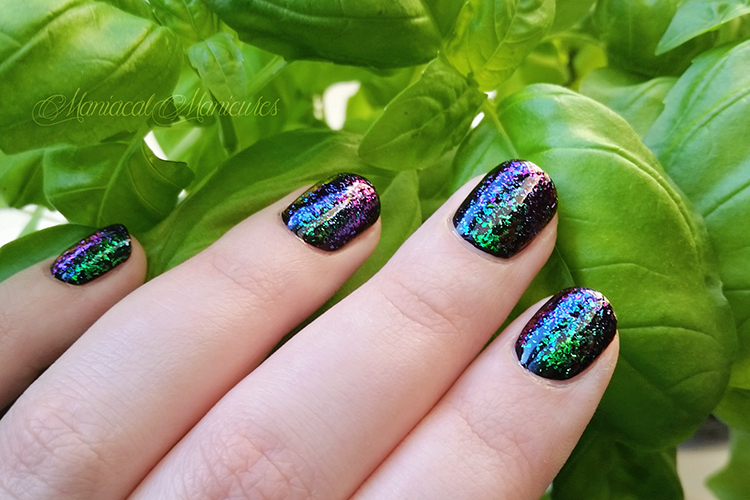 I haven't yet tried dabbing ILNP "Supernova" over a black gel polish, but I'm curious. And for those curious about the plant, it's our in-house friendly basil plant. Ambient, Natural Indirect Outdoor Light for the Win! 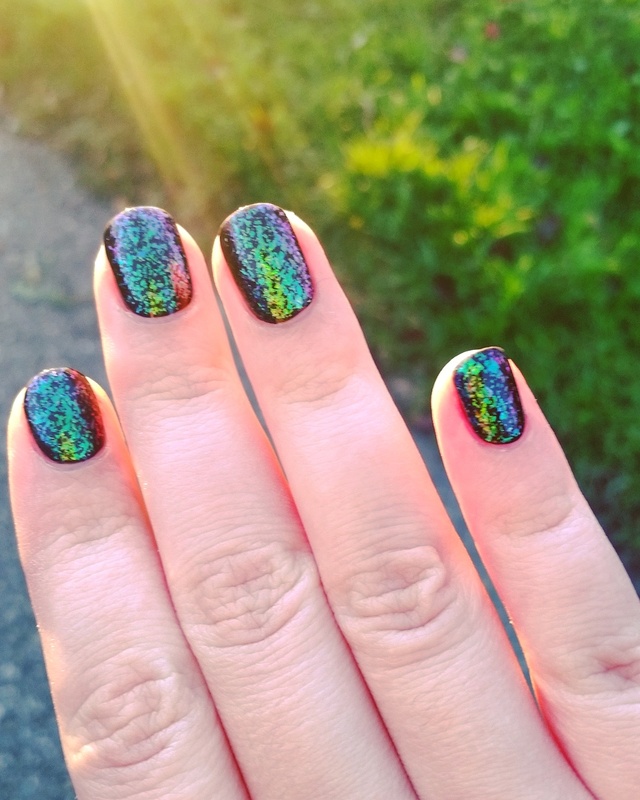 ILNP (I Love Nail Polish) can be found on Facebook, Twitter, Instagram, Pinterest, YouTube, Etsy, and their Website, as well as many international stocklists.